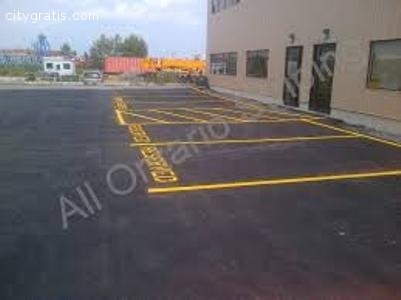 Allow the highly experienced team of professionals at All Ontario Striping to handle your crack sealing in Ontario. We prove an effective and durable crack sealing that lasts longer and prevent water penetration. Our professional team uses the highest quality materials to guarantee a tough and durable seal. To hire our crack sealing service, call us today at 416-890-0899 or send an email: contact@allontariostriping.ca to get a customized asphalt sealcoating service!